Microsoft office 365 gives you and your employees the convenience and ability to work from anywhere with access to all the things you need. However, it also provides your team collaboration tools to help everyone work together better. With Microsoft Office 365, your team can edit documents at the same time using Word, PowerPoint, and Excel. Everyone can see the changes made in real-time. Changes are color-coded to let you know who is making which changes quickly. There are multiple add-ins for Outlook, like GoToMeeting, SimplyFile, and MailWasher. These add-ins allow you to attend meetings from outside locations, convert meetings into tasks, and preview emails safely before you download them. You can do all of this without having to switch applications. You can schedule emails to send later and have reminders set to follow up on messages you would’ve forgotten. Office 365 has an integration feature with Skype, so you and your team can chat, share your screens, and have audio or visual conversations together to make sure those projects get completed quickly and easily, no matter your team’s location. Office 365 even allows you to work offline if you’re in an area with no internet service. Your changes will upload when you get back in service, and you will no longer be waiting on an internet signal. 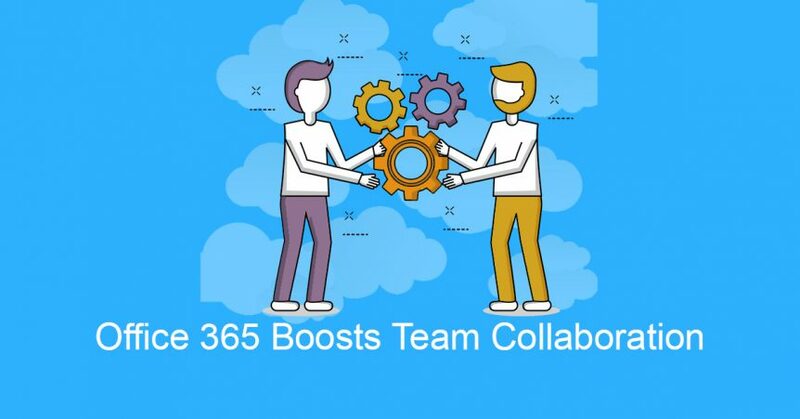 Office 365 is a great tool, with many benefits, including team collaboration! If you’re interested in learning more or switching your organization to Office 365, contact our Sales team today!